Taking you back to 2007 with this picture, my sister Imke sitting on a log on the Big Strand doing something with her camera. 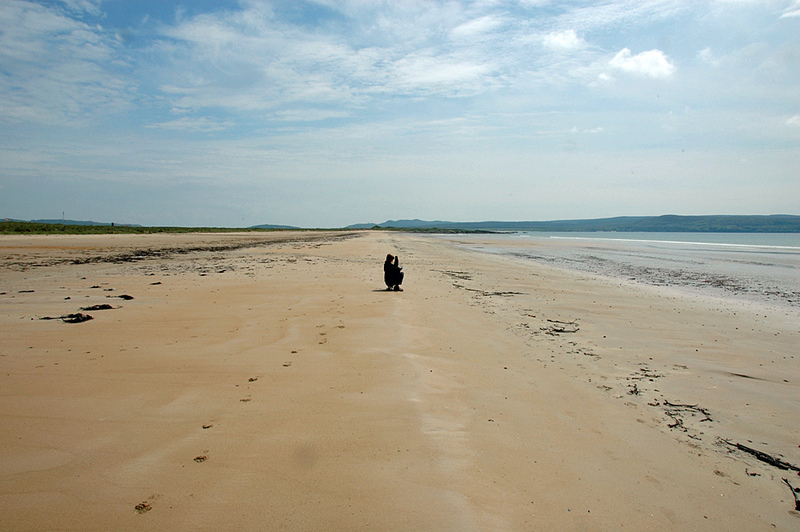 This is just below the airport, where we were waiting for our parents to arrive for a family holiday on Islay. This entry was posted in Beaches, Landscape, Repost, Sunny Weather and tagged Big Strand, Islay, Islay Airport, Laggan Bay by Armin Grewe. Bookmark the permalink.